Just imagine, if the only factor standing in the way of a speedy recovery and a chance to live a healthy and fulfilling life, is one’s own genetics; one’s multiracial identity. Emmy nominated and multi award-winning animation and documentary filmmaker Jeff Chiba Stearns, makes his 2016 return with MIXED MATCH. Beginning from 2011, MIXED MATCH documents an important human story told from the perspective of mixed race blood cancer patients who are forced to reflect on their multiracial identities and complex genetics as they struggle with a seemingly impossible search to find bone marrow donors, all while exploring what role race plays in medicine. Director Jeff Chiba Stearns and Mixed Marrow founder, Athena Askilipiadis, who are both of mixed ethnic heritage, travel around the United States and Canada meeting and connecting with blood cancer patients of mixed heritage and their families. With a relatively small number of people registering in the United States and the rest of the world, it’s even rarer for people in minority communities and mixed races to be signing up for the registry. With the multiracial community becoming one of the fastest growing demographics in North America, being mixed race is no longer just about an identity, it can be a matter of life and death. Jeff Chiba Stearns and Athena Askilipiadis are hoping to make people more aware of the bone marrow donor registration in MIXED MATCH. This journey of raw human emotion, loss, and compassion for one another goes beyond mixed race as an identity, but the will to reach out and help another human being. 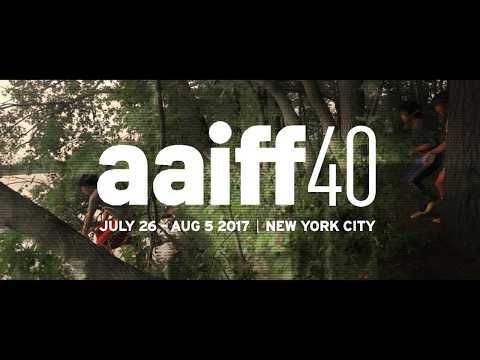 Winner of the 2017 CAAMFest Audience Award, 2016 Vancouver Asian Film Festival’s People’s Choice Award, and more, AAIFF’40 marks the film’s New York City premiere.